Halo: CE – Master Chief Collection, Maps, Fuel Rod Gun, Flamethrower! These 2 new screenshots come from this week’s bulletin. One from the map Battle Creek, and the other from the map Chill Out. Over the past few weeks, I’ve seen inquiries from those of you who want to see and hear about Halo: Combat Evolved within Halo: The Master Chief Collection. While we don’t have footage just yet (that is on the way, friends), we’ve got some in-game screenshots from Halo: Combat Evolved running on Xbox One, made them into fancy wallpapers, and also answered a few frequently asked questions. All of the game types and custom game type options from Halo: CE will be available in the custom games menu. For Halo CE you’ll be able to find games with radar enabled and disabled in separate specific playlists. Options like these apply for all games within Halo: The Master Chief Collection, as there will be a variety of experiences in Matchmaking that cater to a variety of playstyles. 343 then confirmed that the Fuel Rod Gun and Flamethrower from the PC version of Halo: CE will be available as well. You will have the ability to select your weapon set in Halo: CE from a brand new list of weapon sets, including “classic,” which will not include the Flamethrower or Fuel Rod Gun if you so choose. 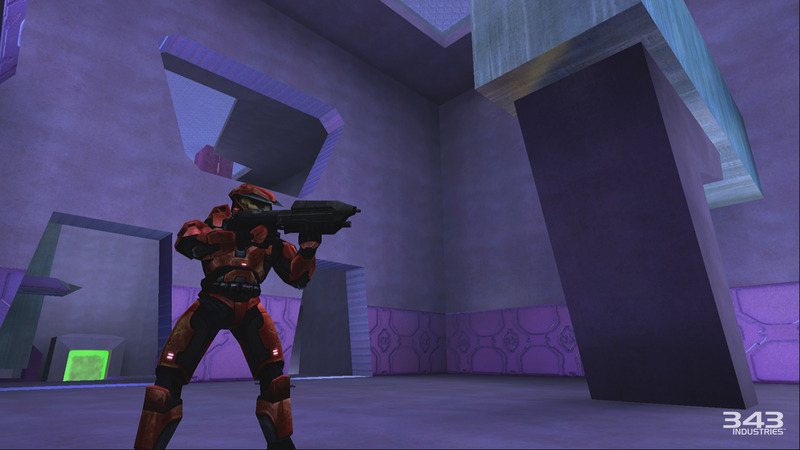 Even though Halo CE Anniversary is being used for the Master Chief Collection, the multiplayer will feature the original experience and not the Anniversary/Reach multiplayer. This means that Halo CE’s multiplayer will be playable on Xbox Live for the first time ever on November 11th thanks for the Master Chief Collection. This entry was posted in Halo: The Master Chief Collection and tagged Halo, Halo 1 on Xbox One, Halo 2 Vista PC Maps, Halo CE Flamethrower, Halo CE Fuel Rod Gun, Halo CE on Xbox One, Halo CE PC Maps, Halo CE Xbox One, Halo Combat Evolved, Halo Master Chief Collection, Halo MCC, Halo: The Master Chief Collection, Halo: The Master Chief Collection Maps, Halo: The Master Chief Collection Weapons by Chief Canuck. Bookmark the permalink.